WYOMING – Ivins residents Craig and Diane Shanklin continue to bicycle from from the Mexican border to the Canadian border. They hope to be among the few Utahns to successfully bicycle the 2,500 mile Great Divide Mountain Bike Trail. 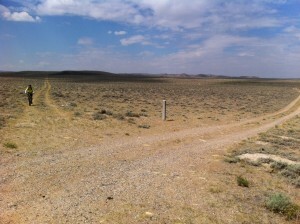 St. George News continues to follow them during their trek. While everyone else is experiencing record heat and warm temperatures it is just the opposite for us – 48 degrees this morning. This is just one more indication that we’re making progress – getting further north and to higher elevations. Yesterday we arrived in Jackson, Wyo., exactly 1,500 miles of mountain biking since leaving the Mexico border 30 days ago. The journey has been much more difficult than we expected but we are still confident that we can bike another 1,000 miles to reach Roosville, Mont., our border crossing into Canada, later this summer. We have been fortunate that we have had good health (other than ailing knees and saddle sores), good weather (other than afternoon thunderstorms), and reliable bikes (other than a broken rear wheel). That broken wheel, which came close to ending our trip, is a great story of luck and incredible customer service. Just after entering Colorado a few weeks ago on very rugged trails, one of our wheels began breaking spokes and became unreliable. In very remote Colorado, what could we do? Options seemed limited. However, once we got cellular service we called our friends at Red Rock Bicycles in St. George to ask for advice. 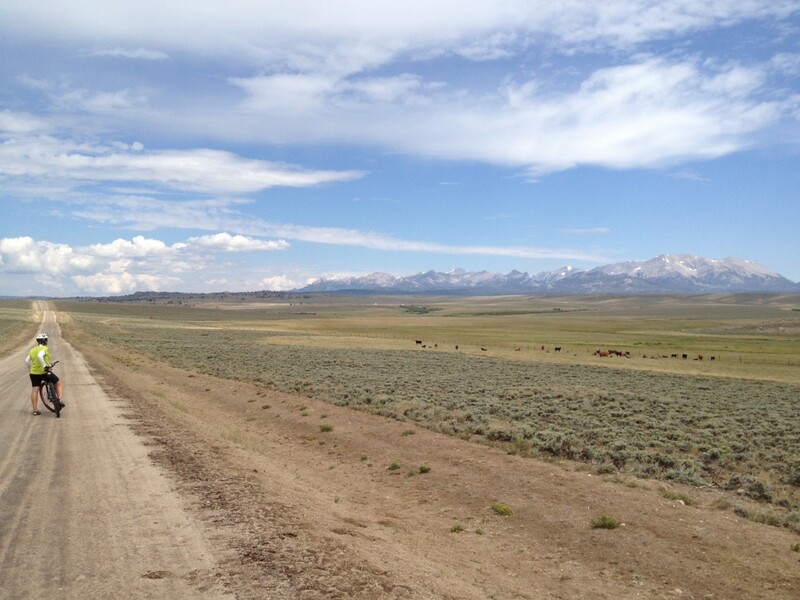 Another great memory of the trip was crossing the barren flat Great Divide Basin in central Wyoming last week. In a very remote area we came across the Oregon Trail, the California Trail, the Mormon Pioneer Trail, the Pony Express route and the Lander Trail. All of these trails converged to take advantage of South Pass, an easier way through the Rocky Mountains. We found ourselves riding these well-preserved trails, just as the early settlers had over 150 years ago. 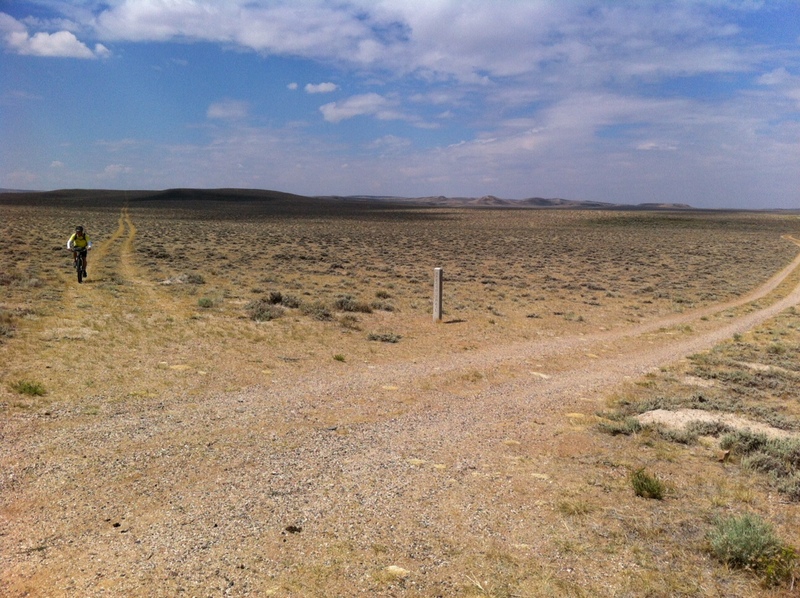 We felt as if we could still hear the rattling of the wagon trains and handcarts moving through the deserted plains … interrupted by occasional grave markers of settlers that didn’t make it to their planned destination. Our adventure continues with riding companions Dave and Denise. We have collected an amazing set of of photographs and memories that will remain with us forever. While sometimes challenging, there are few other things we would rather be doing. We encourage everyone to seek out their own challenges and adventures – to get out there and live life. We’ll keep you posted as we continue north. Craig Shanklin, 56, and Diane Shanklin, 49, are bicycling the Great Divide Mountain Bike Trail, which follows the Continental Divide from the U.S.-Mexico border at Antelope Wells, N.M. to the U.S. Canadian border at Roosville, Mont. The Shanklins should reach the U.S.-Canadian border after about 60 days of bicycling. They will ride through New Mexico, Colorado, Wyoming, Idaho and Montana. The Continental Divide is the ridge along the Rocky Mountains that separates the rivers that flow east from the rivers that flow west in North America. It runs north-south from Alaska to northwestern South America. The Great Divide Mountain Bike Trail, developed by the Adventure Cycling Association, is the longest off-pavement bike route in the world. 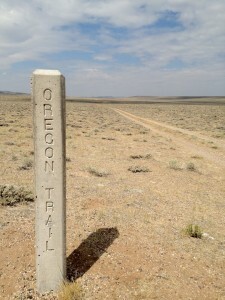 The trail follows the Continental Divide as closely as possible and crosses the Divide 29 times. Tracie McFarlin is an assistant editor and the Northern Utah correspondent for St. George News. She served as a staff writer since St. George News' founding in 2010. Tracie graduated from Dixie State College in May 2011 with a bachelor's in professional and technical writing. She began her journalism career as a reporter and copy editor for the student newspaper at Riverside Community College (Riverside, Calif). She wrote for the Desert Valley Times (Mesquite, Nev.) and Mesquite Local News before coming to St. George News. In her spare time Tracie reads fantasy literature, plays video games, and spends time with her husband.